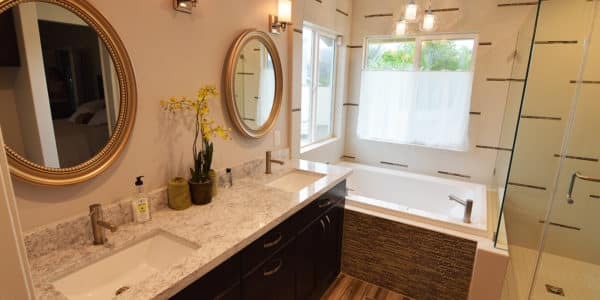 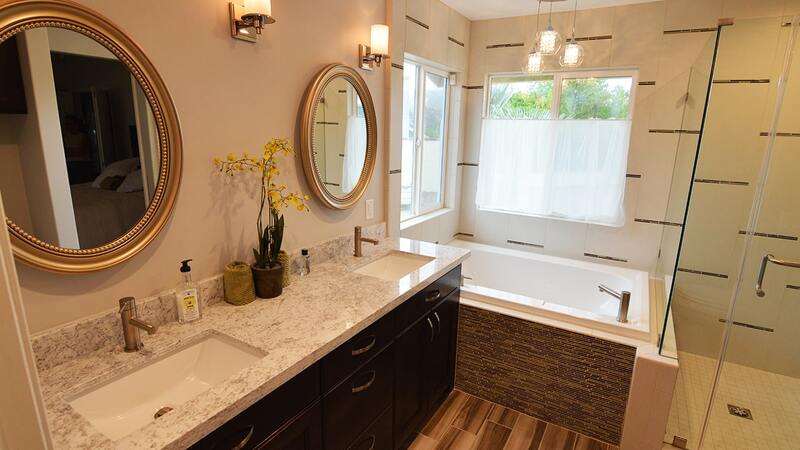 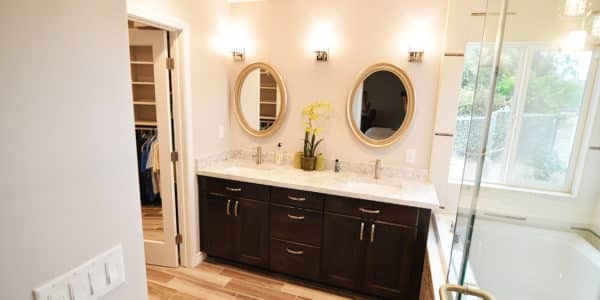 This elegant bathroom / Bedroom in Yucaipa incorporates fabric looking porcelain 12×24 tiles, set vertically with glass mosaic between every horizontal joint. 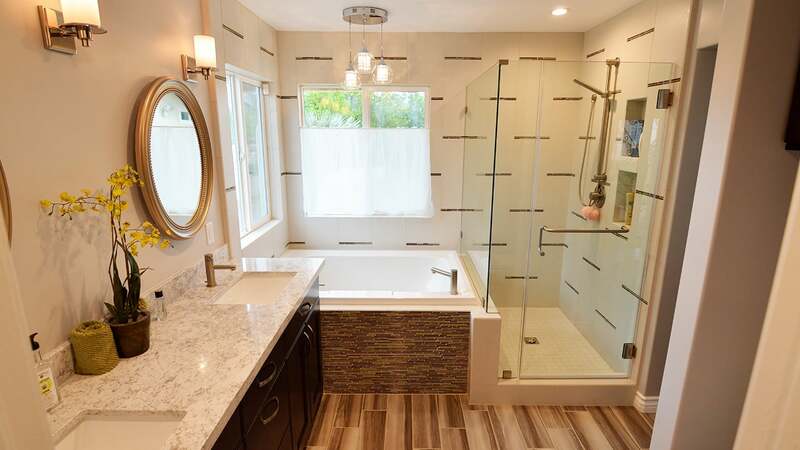 The mosaic is also used to accent the tub face. 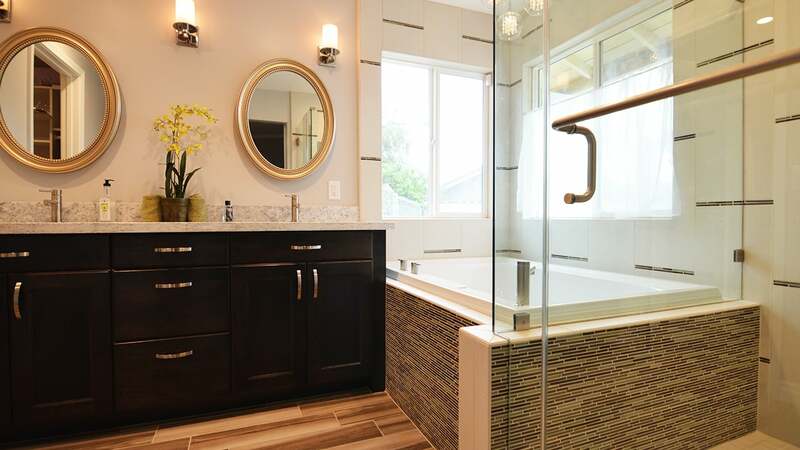 The tub itself is an extra wide model. 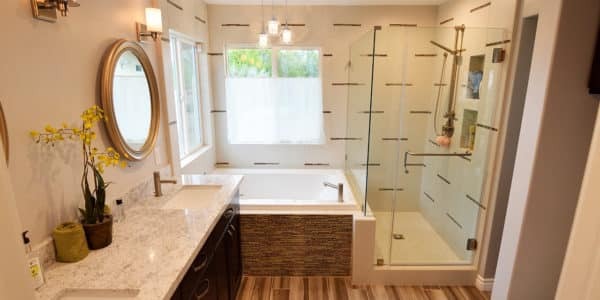 The shower is wider as well, with a hand shower instead of a traditional shower head and two tall niches stacked one over the other. 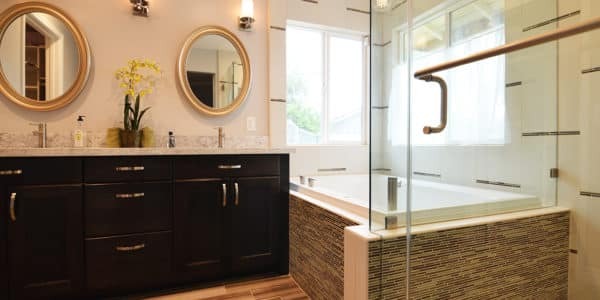 The tile in the shower is carried at ceiling height on both walls behind the tub to give a much more designed and open feel. 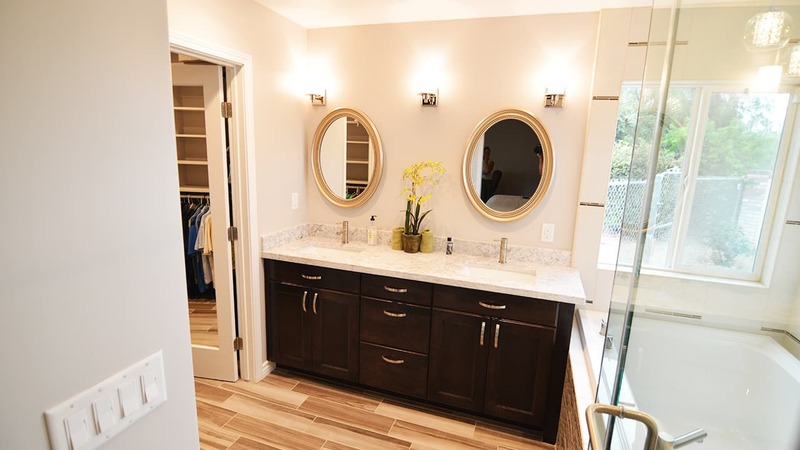 Espresso cabinets are used to contrast both the 6×24 plank porcelain floor tile and the Carrera marble countertops. 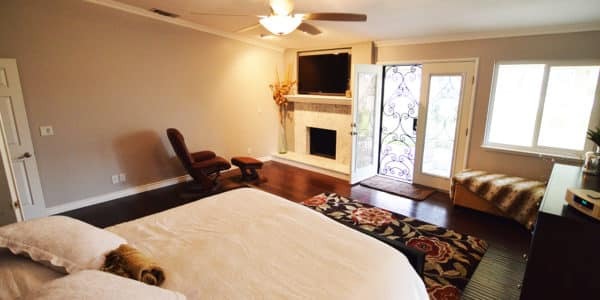 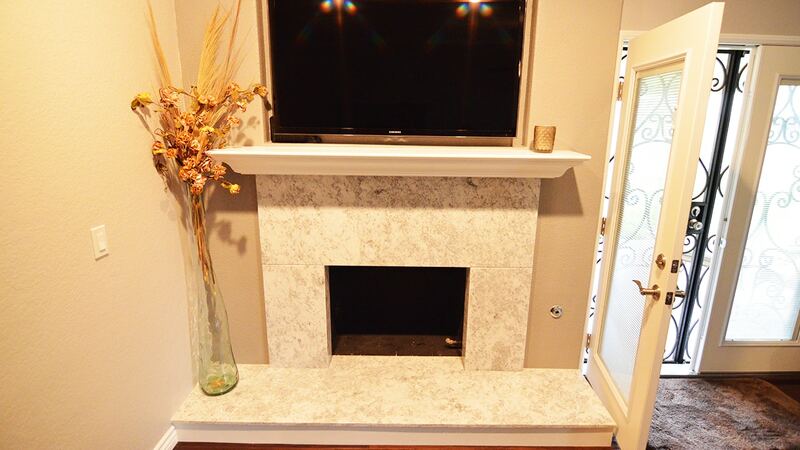 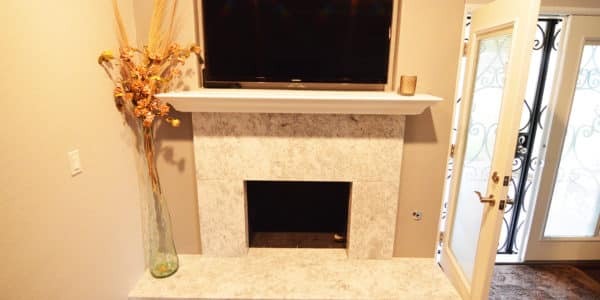 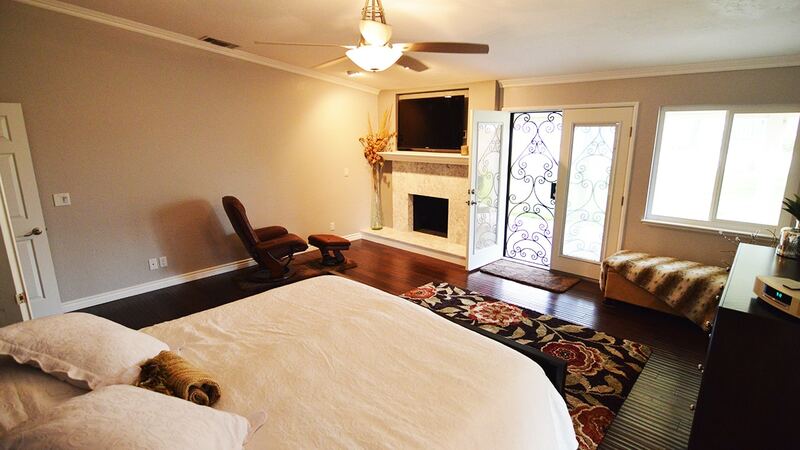 The bedroom was upgraded with wood flooring, new baseboard and a custom marble fireplace and TV niche.